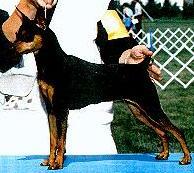 Welcome to Liberty Miniature Pinschers. conformation to be show dogs. "The Girls" "The Boys" "Puppies"